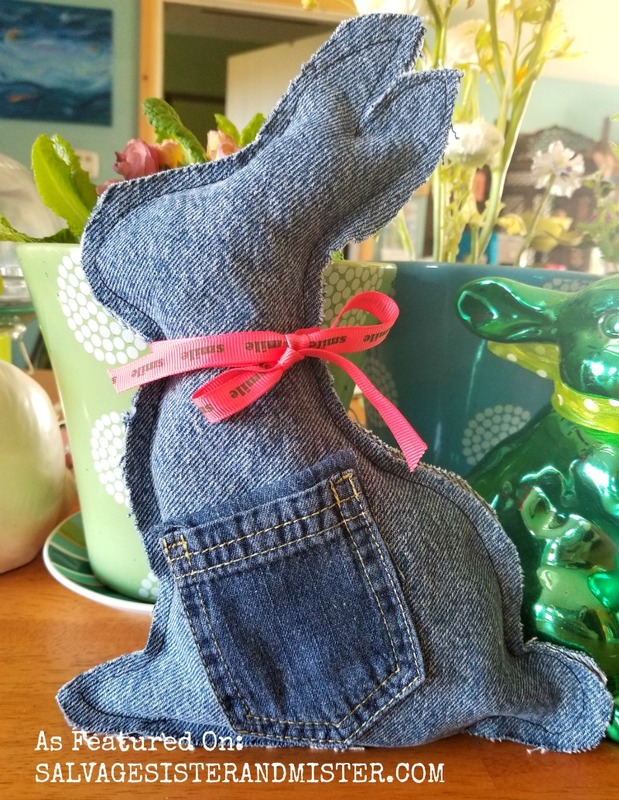 Today is SS&M Feature Me Friday, and we are excited to share this adorable DIY Denim Bunny from Erin Leckiter Cooper @ Extralovincare.com. 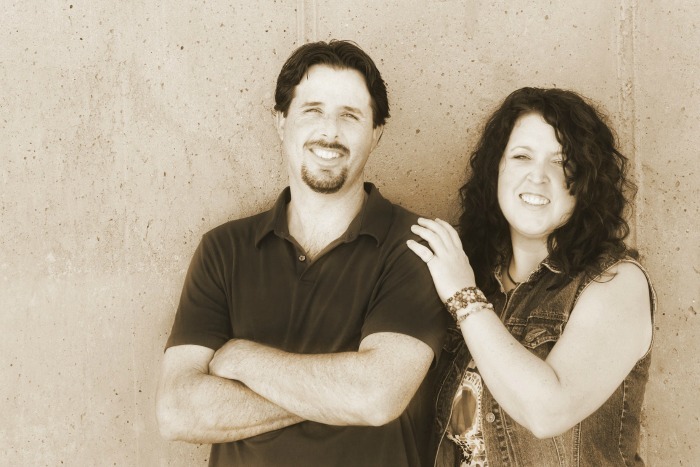 There certainly is a lot of waste when in comes to Easter Baskets…..baskets, plastic eggs, cheaply made toys, etc. We love anything that can help eliminate some of the waste and use up what we already have. 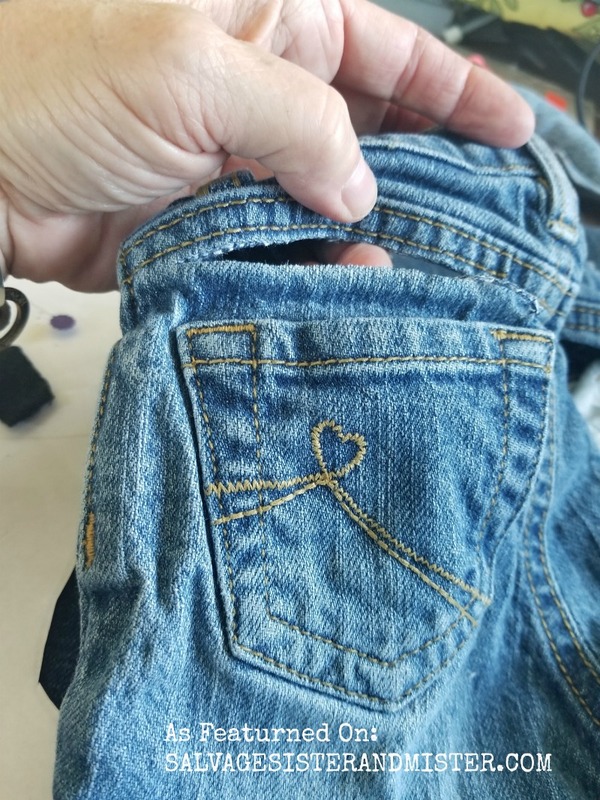 Plus, kids outgrown their jeans about as quick as an ice cream cone melts in the summer so you probably have some holey jeans lying around. * Makes one bunny. Affiliate links used to show items to make project. Please see our full disclosure policy HERE. 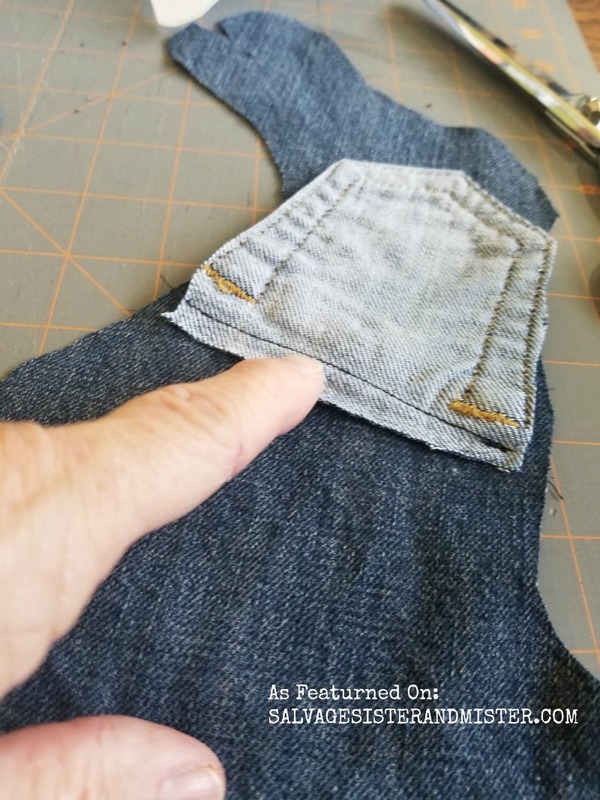 Cut down a seem on a leg of jeans and cut at the top. 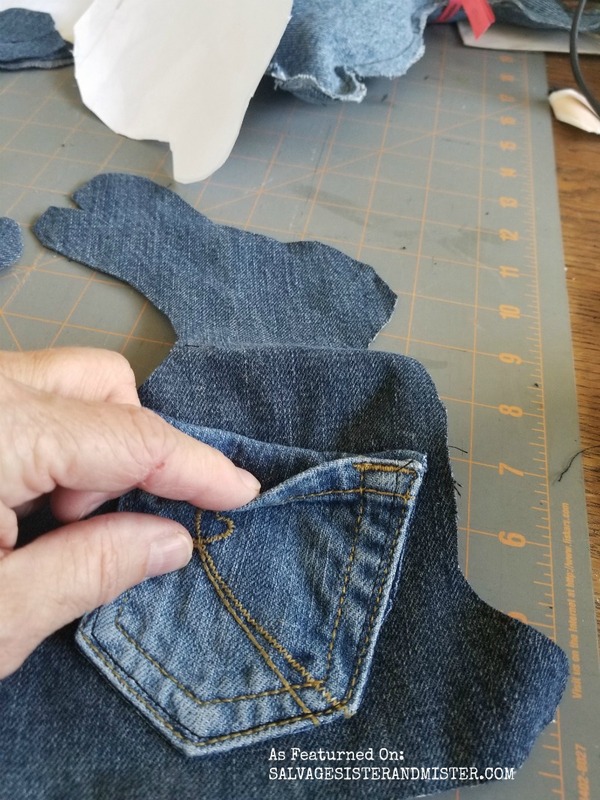 Starting at the bottom leg, fold over material so the inside of the jeans is not showing. 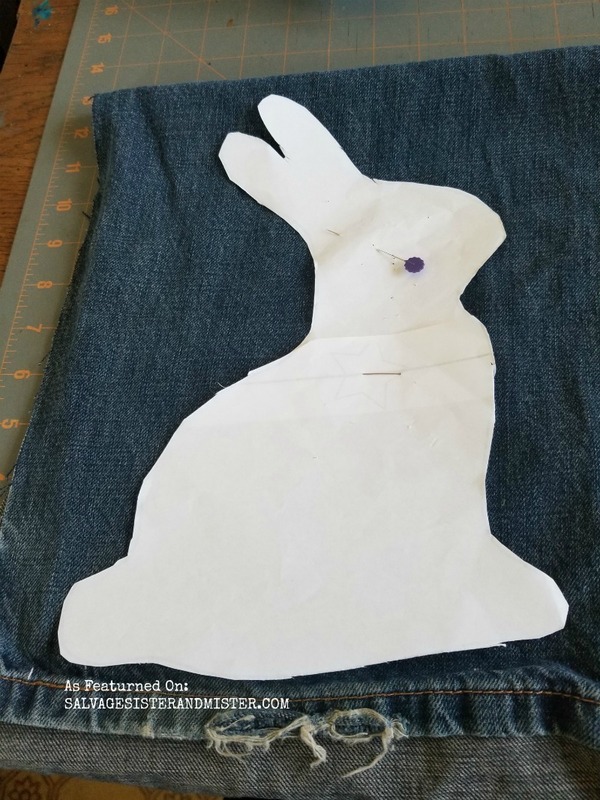 Take bunny pattern and pin to jeans. 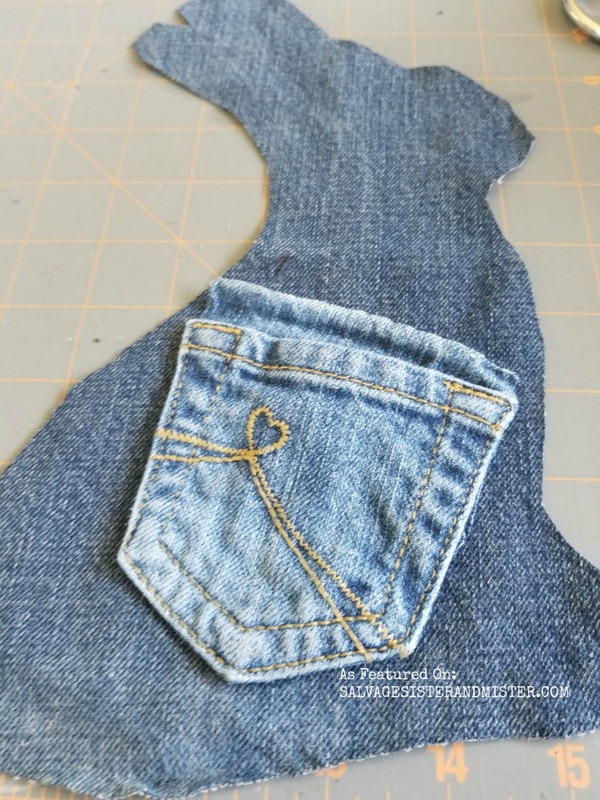 Cut out the bunny around the pattern- you will have a front and back. Cut all the way around a kids pocket, except for the top. 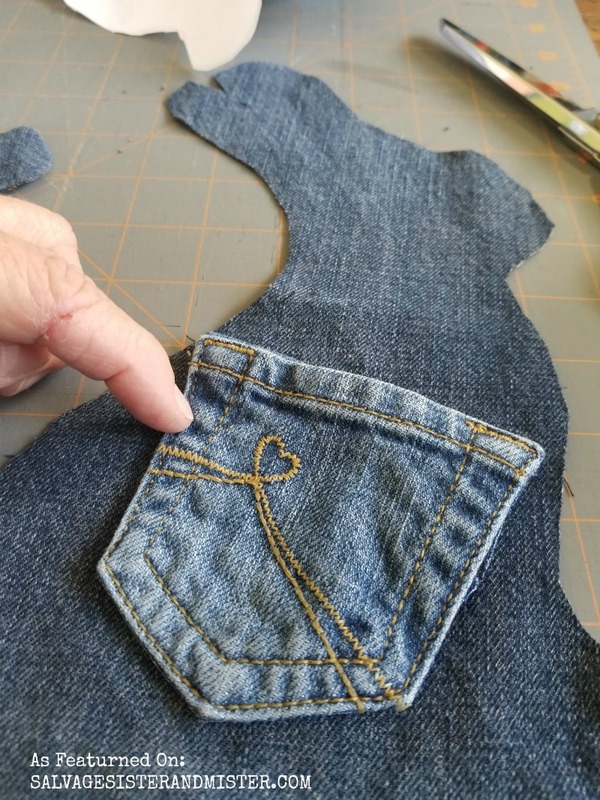 Put the right sides together, sew right at the edge of the pocket and flip it over then stitch all the sides. Take the two bunny pieces and sew together leaving a space open to stuffing. Erin sews down a bit to the ears to make them more floppy and doesn’t put a lot of stuffing in them. 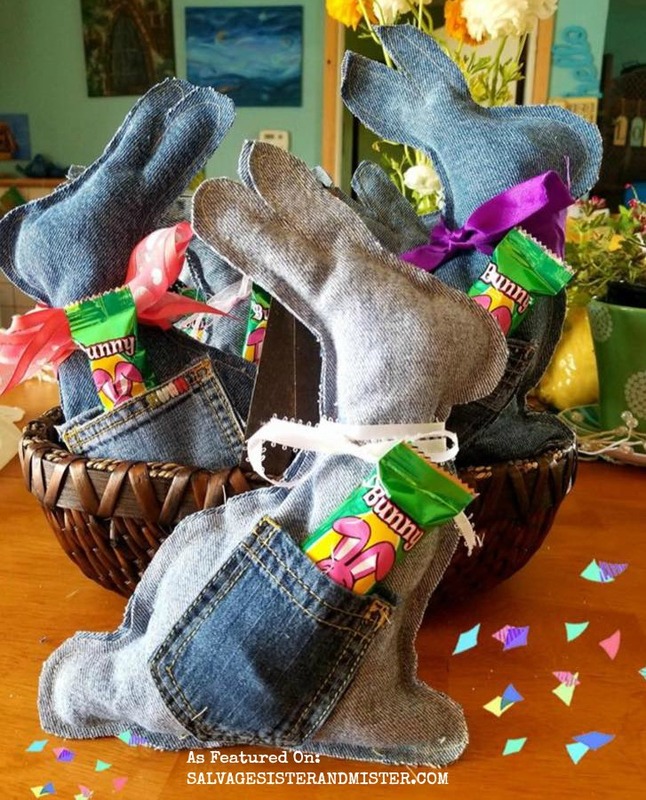 Once the bunny is stuffed the bunny is sewn shut and is ready to add a little treat, or two, to that pocket. How’s that for a fun reprupose? Now, if you are interested in being featured, check out our page here. Thanks for hopping by today. If you make a bunny, we would love to see it. You can share your projects on our Facebook Page – each Wednesday morning is SHARE DAY. That is so funny and creative idea. I will also save it for next year. I am really bunny lover and I’m sure my kids will love it. Thank you Michele. He is so fun. 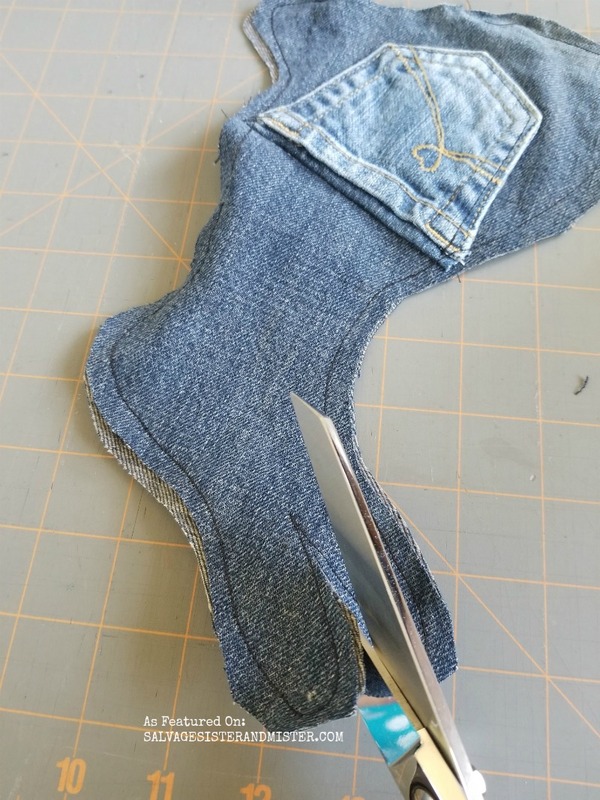 Great way to reuse some jeans. 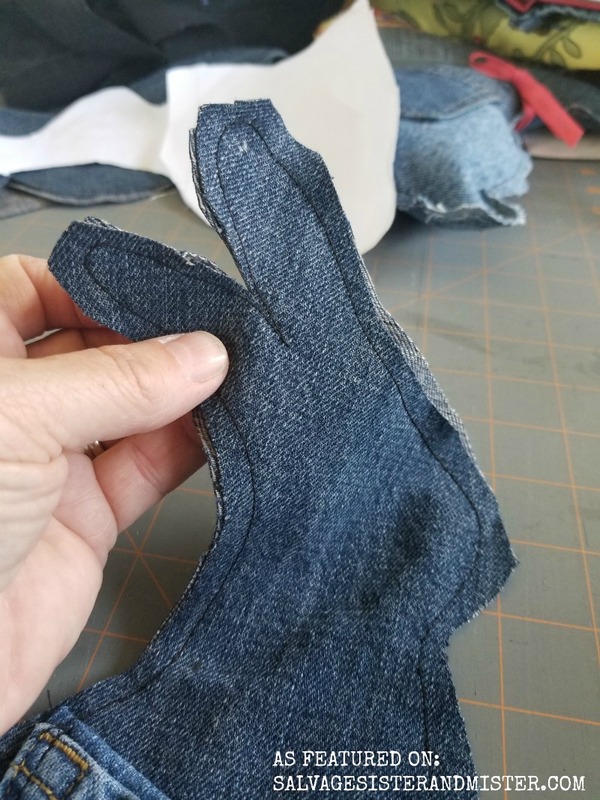 Such cuties, now I’ll have to look around to see if I have any denim scraps. Thank you Mary, aren’t they darling. I hope you make some. I’d love to see the end result if you do.